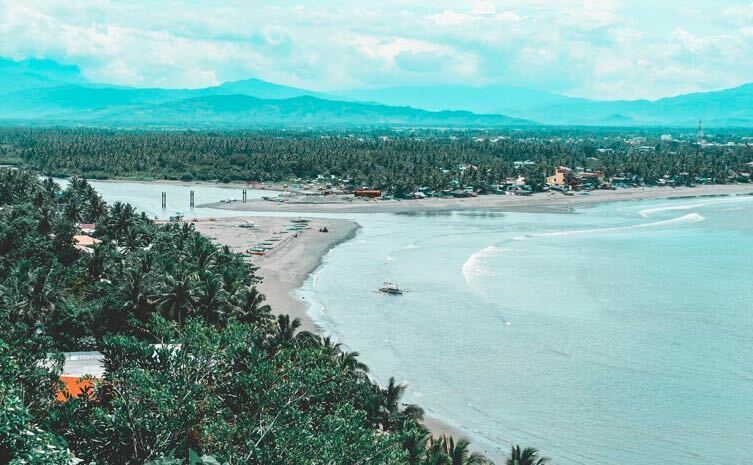 Baler is celebrated as the birthplace of Philippine surfing, gaining popularity through the years as its world-class waves catch the attention of Filipinos and foreigners alike. But this town is a lot more than its famous surfing beach. While there are numerous coastal areas in the Philippines, a lot of people have been drawn to Baler to the point of wanting to live there. Most of them say that it’s because of the people—the locals receive tourists with open arms (not to mention surfing tips! ), and their smiles convey the warmest of welcomes. 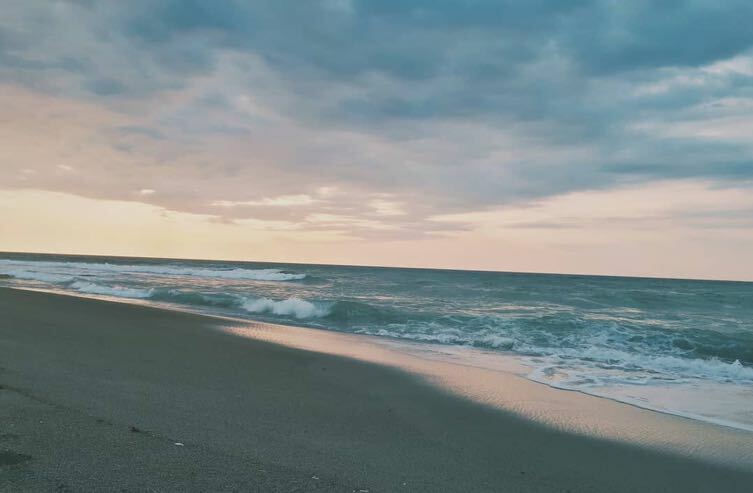 While we can give you a list of places to go to and wonders to see, the kindness of the people in Baler and the simplicity the town offers are some things you would have to experience for yourself. So, use this guide as a manual to help you maximize your time in the beautiful capital of Aurora, but make sure to immerse yourself in the place as well. Who knows—you might come home with not just a trendy tan, but also a new pair of eyes that could see the world more clearly. 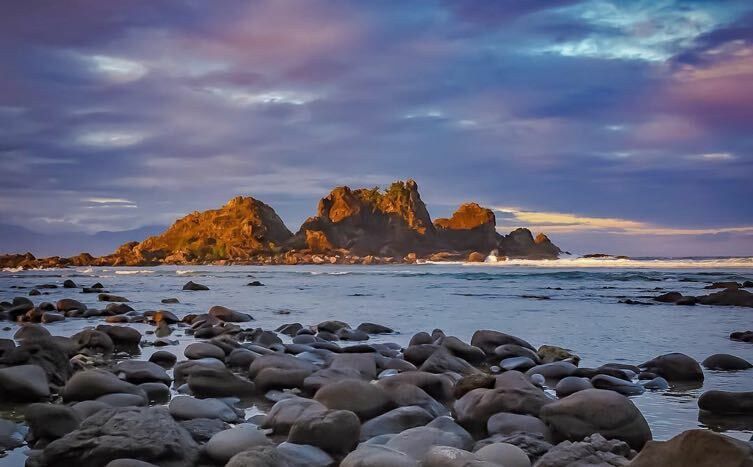 The province of Aurora is filled with majestic wonders that are all accessible when you’re coming from Baler. 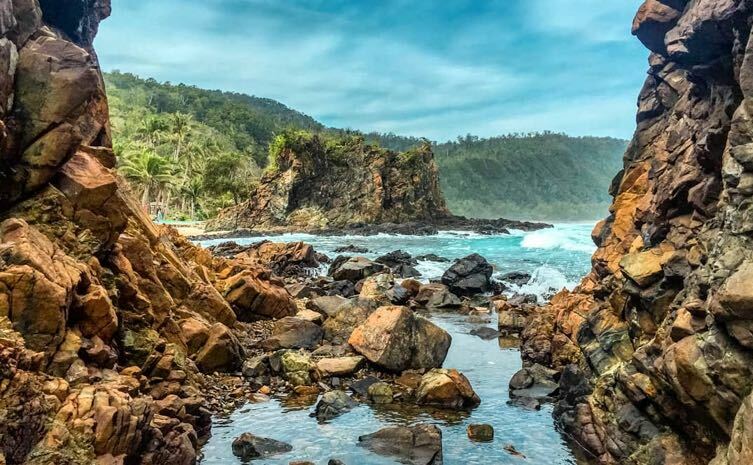 Not only is the province blessed with stunning coasts, it also has mountains, springs, waterfalls, and trees that await your visit. Sabang Beach is probably the most popular spot in Baler, simply because it's where most people go to surf. This wide stretch of gray sand was also where the movie Apocalypse Now was filmed in the 1970s, an event that eventually popularized the surfing culture in the municipality. The beach is now lined with hotels and transients that offer a beautiful view of the Pacific Ocean. A tricycle ride away Sabang Beach lie the Diguisit Rock Formations. Its clear waters and rock-strewn surface are handsomely highlighted during sunrise when the silhouette of mountains and the orange skyline serve as a backdrop to the equally regal rock formations, fishing boats, and the ocean's majestic waves. Diguisit is also known for the easily accessible Diguisit Falls, located conveniently by the highway. While the waterfall doesn’t take much effort to reach and only has knee-deep water, it’s a fun destination for people looking to get a natural shower. For the more adventurous types, there’s a bigger version of this waterfall a few meters along the same road, which requires a bit of a trek. Unlike Sabang Beach and the rocks and falls in Diguisit, entrance to Dicasalarin Cove is not free. But we assure you that you won’t be disappointed—Php300 will seem like a small price to pay for the view you’re about to witness. 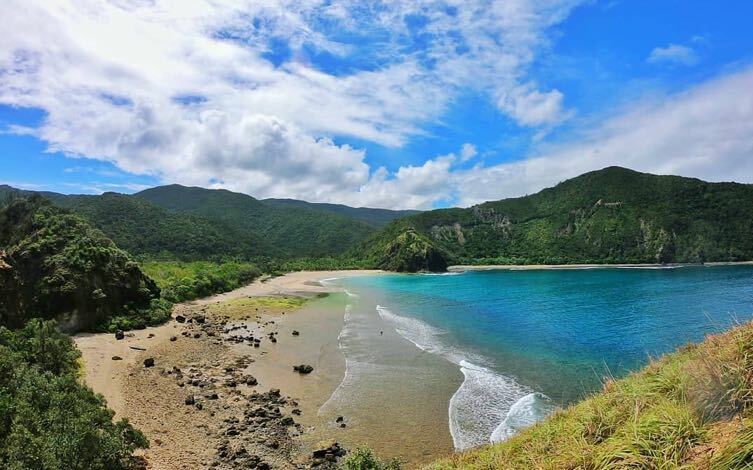 The secluded cove has a beautiful white beach contrasting the ocean blue Pacific and the greenest mountains. 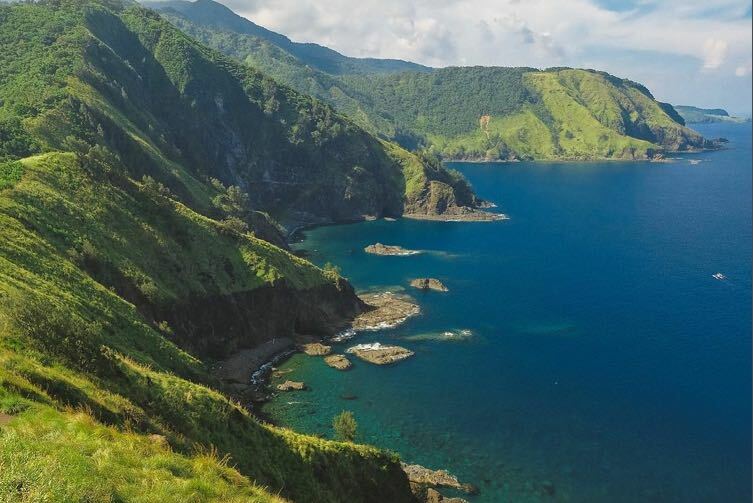 To the right side of the cove is a hundred-step stairway that leads to the Baler Lighthouse and a peak that would leave you even more breathless with an overview of the bay. 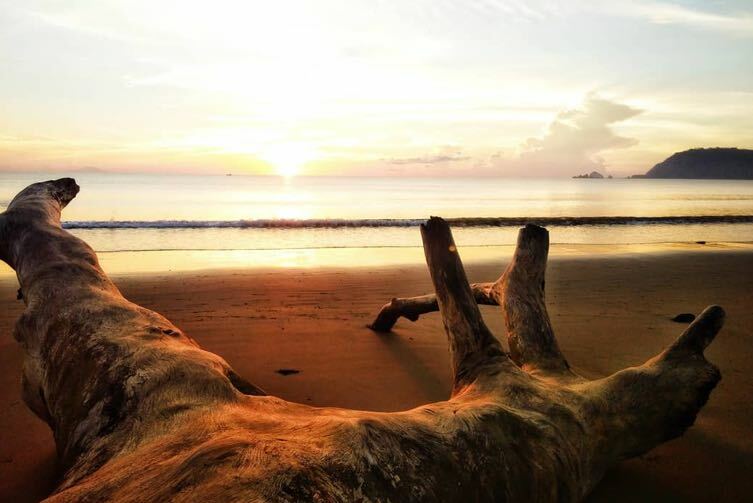 Aside from these beaches, Aurora is also known for being the home of the biggest claimed Balete tree in Asia, which has been officially recognized as the national Millennium Tree. At 600 years old, the tree has sized up so much that it would now take more than 40 grown men with arms extended wide to encircle its trunk! 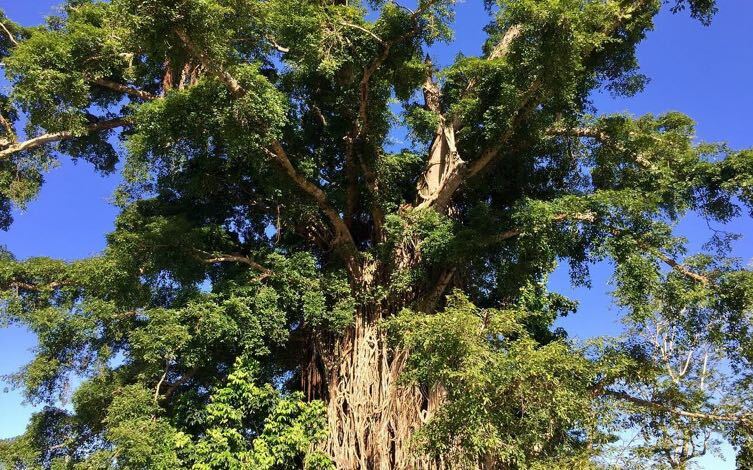 The Balete tree is a unique sight as its thick roots, which are approximately 33 feet high, have grown tall enough that it now houses caves. Many people enjoy climbing up and down its roots as well. Also in a neighboring town of Baler is Barangay Ditumabo, where the Mother Falls is located. Before reaching this waterfall, you will have to __trek for less than an hour through rocks and rivers. 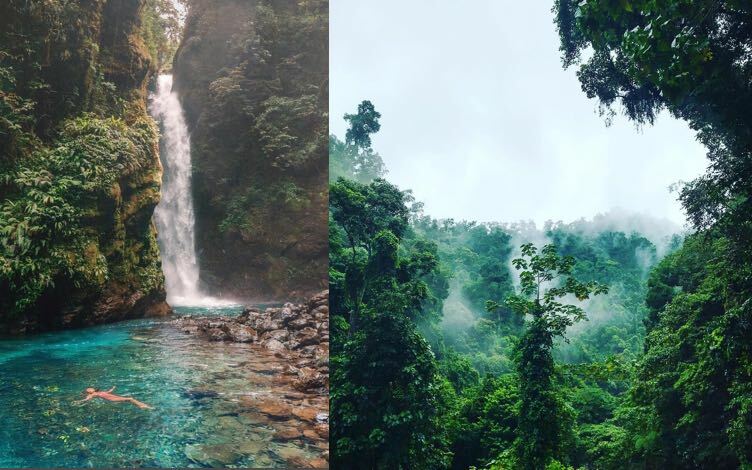 The journey to the falls of Ditumabo is just as rewarding as the falls itself even when it is a relatively easy hike. The trek involves sights of smaller waterfalls and trees, while the Mother Falls is as refreshing as a tub of ice-cold water you can swim around in. Like many other places in the Philippines, Aurora has a rich history of colonial warfare. With this in mind, the province has preserved a few sites you can visit. 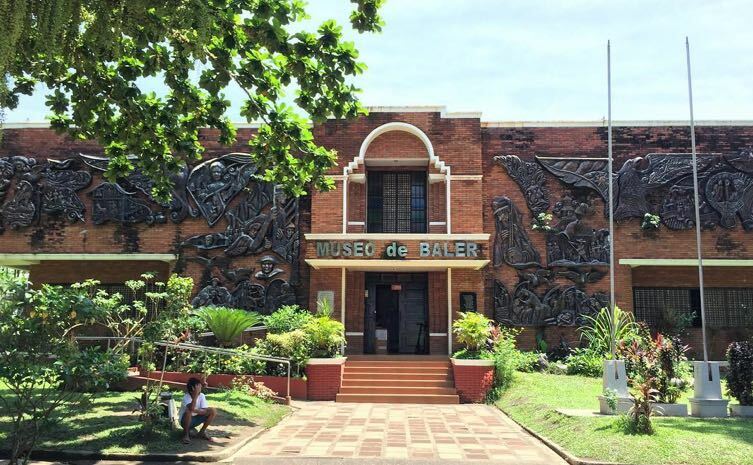 In the heart of Baler sits the Quezon Memorial Park, where you will find a sculpture of the late Commonwealth President Manuel Luis Quezon literally sitting tall in front of the Museo de Baler, Baler’s local museum that exhibits historical artifacts and memorabilia that go as far as the period of Spanish colonization. 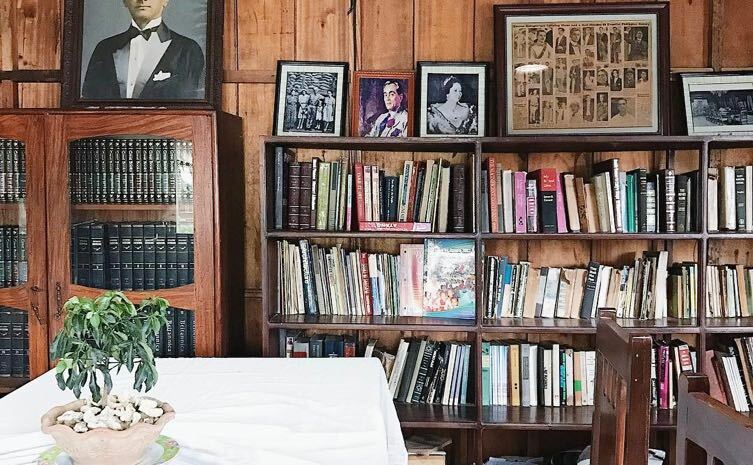 The history of Aurora and some photos, artifacts, and other mementos of President Quezon and his family are also showcased inside the museum. Another one of these historical sites is the replica of the Doña Aurora Memorial House. Located near the equally famed photo-op destination which is the Baler sign, the memorial house was re-built to commemorate the late Doña Aurora, wife of President Quezon, and her selfless efforts in delivering social welfare services to the people of the province. Originally built with bamboo and nipa, the Baler Catholic Church is also a must-visit site. 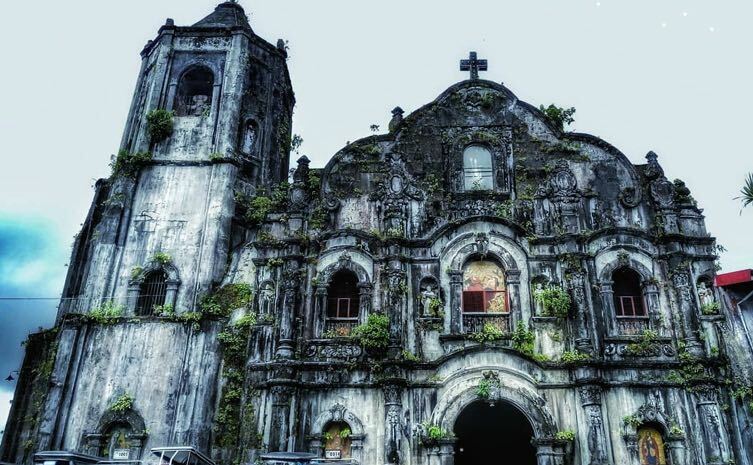 This church, also known as the San Luis Obispo de Tolosa Parish, was the legendary Spanish garrison as well as the church where the late President Quezon was baptized. It was deemed a national historical landmark by the National Historical Institute in the year 2000. Although the Baler Catholic Church is now built eight meters above sea level, the original establishment was destroyed by the catastrophic Tromba Marina tidal wave in 1735, the tsunami that wiped out most of the town without warning. This event marked a significant point in the history of Baler as only less than 10 families survived by climbing up the Ermita Hill. The incident is remembered until today through the Tromba Marina monument—a sculpture depicting families climbing with a wave chasing after them—that sits on the base of the hill. Before going for your morning walk by the beach, you can have your morning coffee and bread fix at Dialyn’s Bakeshop. 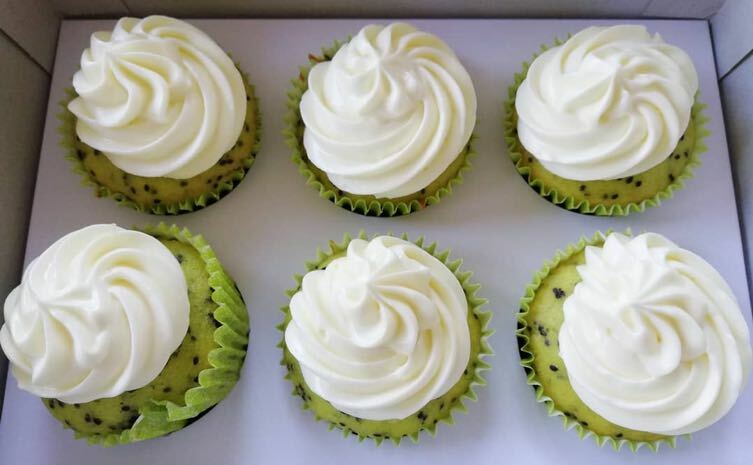 If you have a sweet tooth, Dialyn’s Bakeshop’s Kiwi cupcakes are to die for, with just the right mix of sweet and sour packed in one small cupcake with cream cheese icing. You can also try their tasty Dulce De Leche cake, whose sweetness and creaminess will instantly complete your day. Even though Kusina Luntian is fairly hard to find as its nipa huts are camouflaged behind trees, the restaurant is almost always full. 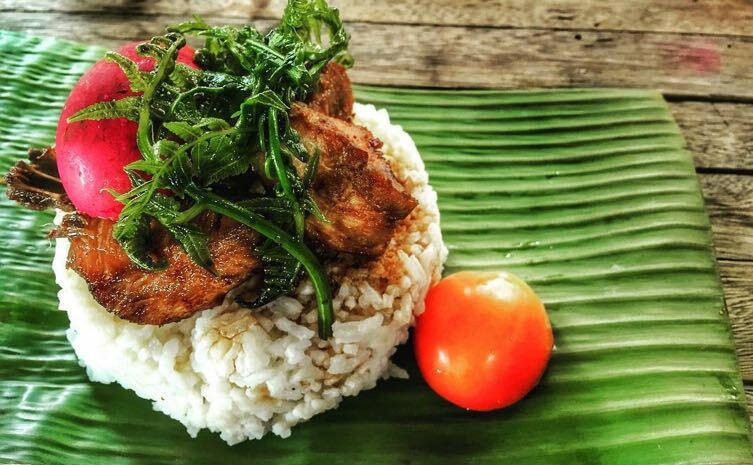 Most famed for its Wapang Wapang na Liempo and Wang Patawad na Tapa, Kusina Luntian serves all their main meals on banana leaves with rice, tomatoes, salted egg, and pako salad on the side. 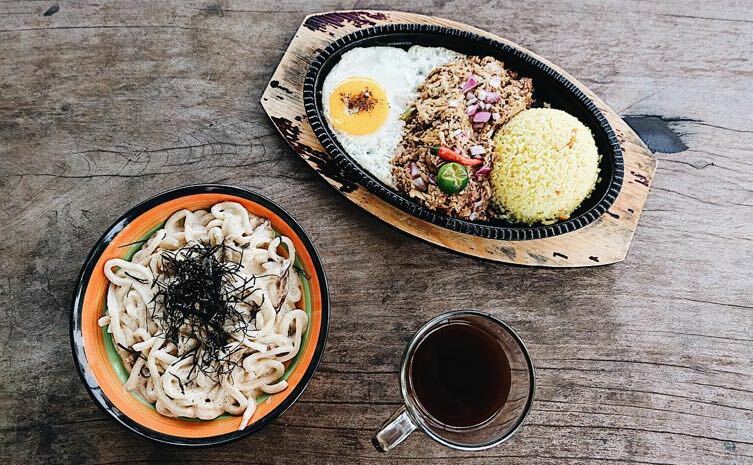 For the full island life experience, Kusina Luntian asks their customers to leave their shoes outside the huts and encourages them to eat with their bare hands too. 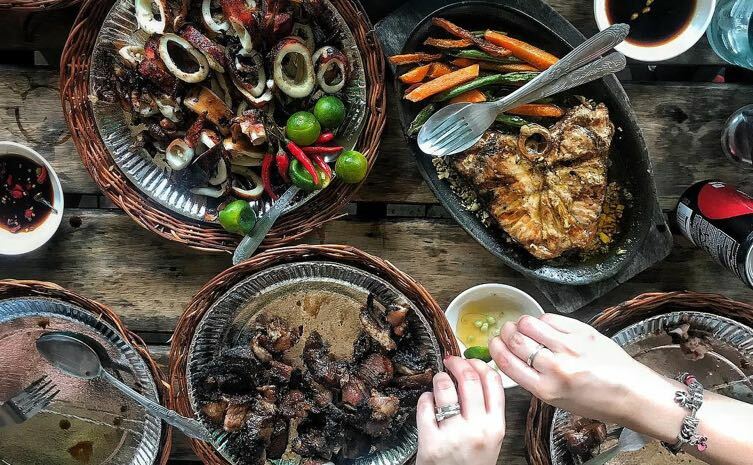 Aside from grilled liempo, Kusina Luntian also offers Baler longganisa, fried boneless bangus, chicken adobo and other flavorful Filipino meals. 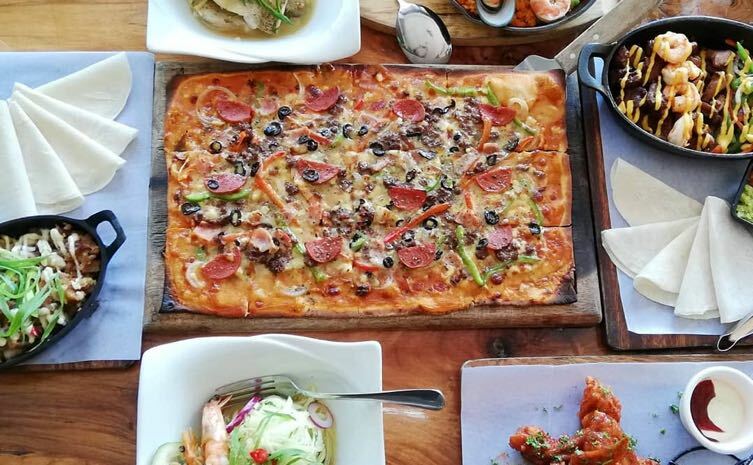 Perfect for a family get-together, Kubli Bistro has a variety of food items on the menu, including Filipino staples like pork sinigang and caldereta, but also foreign delicacies like their flavorful tomato and basil pizza and crispy fish tacos. The restaurant is one of the few air-conditioned places in Baler so if you prefer a more solemn ambience, we definitely recommend this place. Besides, it isn’t just a restaurant: Kubli Bistro also showcases the history of surfing in Baler, with old photos of local surfers and beaches hanging around the place. Vegans and vegetarians who frequent this town have found their home in Charlie Does Café. The vegetarian café and restaurant offers delicious food that will probably make you forget the taste of meat. Their coffee is also a hit, which tastes even better after joining one of their yoga sessions. As Charlie Does is also an inn, the place offers surf lessons and even sells surf boards, surf wear, and other merchandise. 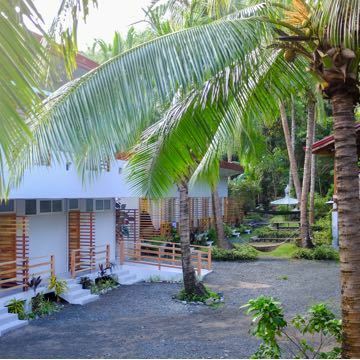 Crash Pad Baler may be one of the best and newest places in Baler to hang with your friends. It offers a variety of affordable but tasty meals, from numerous flavors of pizza, pasta, and chicken wings to grilled meat and fish dishes. They serve beer, too! 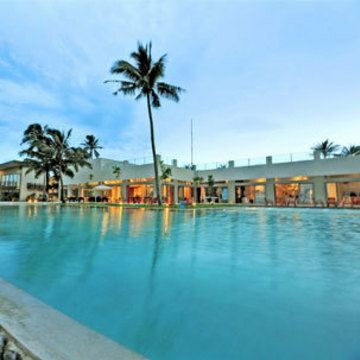 Its laid-back and raw ambience is best for lively discussions and excited chatter among friends or family. 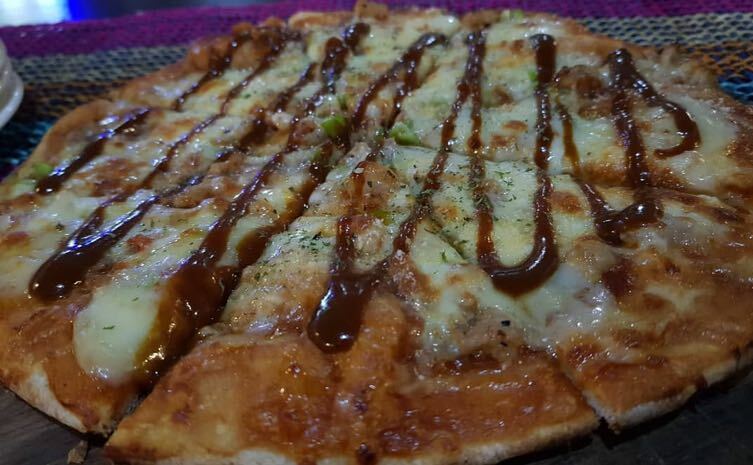 Try something new with their best-selling Crocodile Pizza with some Spicy Curry Chicken Wings on the side! Or, if you’re a fan of Indian cuisine, Crash Pad also offers tasty authentic Indian meals on their menu, such as Pratha and Chicken Vindaloo with Peas Polao Rice. For some solid seafood, try out Yellow Fin Bar and Grill. They offer the freshest grilled seafood, including Grilled White Tuna Fillet, Grilled Blue Marlin, and Grilled Yellow Fin, all good for sharing. The restaurant also offers more food and beverage choices so you can chow and drink till you drop. It goes without saying that you shouldn't leave Baler without riding the waves. Surf lessons usually cost Php350 per hour inclusive of a surfboard, while surfboard rentals start at Php200. Sabang Beach stretches wide enough for every surfer to have a spot in the lineup. And if you haven’t tried surfing before, no need to worry! The surf instructors will take good care of you and will make sure you get that stoke everyone else in the water is raving about. Aside from surfing, snorkeling and scuba diving are other water sports you can try especially from March to June when the waves are calmer. Contact the local tourism office or the MIA Surf & Sports Resort to plan out these activities. You can also opt to go for a swim instead, but take note of the weather and the strength of the spot’s current to make sure you're good to go. Most of the time, there are warning signs in parts of the beach with strong currents, but the safest bet is to take a dip somewhere near the shoreline and visible to other people. While some people may find water sports too extreme to handle, the Baler sunrise is good for everyone and anyone. Facing the East, Baler is the perfect place to watch the sun peek from the ocean and rise to the sky. Baler has many historic sites that sit beside one another, so walking from place to place is definitely feasible. Quezon Park is conveniently located in the heart of the town, with Museo de Baler right behind it. The ancient Baler Municipal Hall, Doña Aurora house, and Baler Catholic Church are also a short walking distance away from the museum. There are several souvenir shops lined along the streets of Baler with shirts, mugs, keychains, and food items on display. Wallets, bags, and jewelry are also readily available for you to bring home to your loved ones. More unique items like local drinks and food items are also a great way to share the Baler vibe to those who haven’t been to the municipality. Immerse. As we’ve mentioned earlier, one of the richest treasures of Baler is its people. Take advantage of their warm welcome and enjoy the company of the locals. Ask them questions. Let them give you a taste of the authenticity Baler offers. Expect a simple and humble lifestyle. Even when Baler has grown to become a famous tourist destination, the place still maintains a strong rural vibe. We advise you to take in the slowness of life in this town—this is one thing you would certainly miss when you leave for the city. Don’t stuff your itinerary with too many activities. Try going with the flow and see where it takes you. Support local. The locals love it when tourists enjoy their stay in Baler, so it wouldn’t be too much to support them back. Visit the public market and buy the freshest seafood, or ask for surf lessons from the local surf instructors. Bring cash. While there are a few ATM machines in Baler, some of the more accessible banks in the metro like BDO, Metrobank or BPI aren’t present yet in the town. If you’d rather not pay the extra withdrawal fee, bring a safe amount of cash for your trip. Expect tricycle rides. Baler is a province, so don’t go looking for taxis or Grabs. When going from place to place without a car, tricycle rides which cost a minimum of Php12 are the way to go. Know your travel options. Aside from taking different tricycle rides throughout the day, you may also rent a tricycle for a whole- or half-day tour for less than Php1,000. If you want a tour that’s more flexible to your own agenda and time, you can opt to rent a mountain bike, a van, or a motorcycle. Tour guides are also available for you to hire, which is one of the best options to get to know more about each location. Surf period. In Baler, there are waves for most of the year. October to March are the months known to have the best waves while the sea remains mostly calm from May to July. Beach responsibly. While tourists are more than welcome in the town, many of them forget to clean up after themselves. Remember to be responsible beachgoers by not leaving any trash behind. Also, if you’re up to it, there are groups in Baler like the Ocean Care Movement that advocate environmental awareness. Aside from promoting the zero-waste and plastic-free lifestyle, the movement also conducts beach cleanups from time to time. Cleaning the beach is not only a fun experience—it will also help maintain the beauty of the coasts so that we can enjoy them more. Comfy is Baler’s uniform. Most people are in slippers, shorts, bikinis, and caps, but no one really cares about what you look like. It can get hot and humid during the summer so opt for light clothes that dry quickly. If you’re planning to go surfing, we recommend that you bring sunscreen and a rashguard so that you’ll have an easier and more enjoyable time playing in the ocean. Due to the rise in tourism, what used to be a twelve-hour drive from Metro Manila can now be reached in five or six hours by car. You can now pass via NLEX from Balintawak to SCTEX through Rizal and Pantabangan. While Baler is now much more accessible than before, the Genesis Transport Service is still the only bus liner that offers direct trips from Metro Manila to Baler. The regular bus, which costs Php450, doesn’t hold seat reservations. Its luxury bus line is Joy Bus, which costs Php750 for a non-stop trip with food, blankets, pillows, and a bathroom. To know about the schedule of trips for the day, you may call their office at (02) 709-0803 or (02) 421–1425. 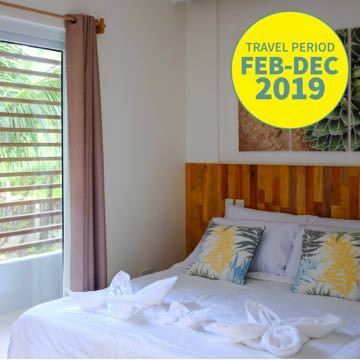 If your schedule doesn't line up with that of Genesis, you may opt to take a trip via Cabanatuan City in Nueva Ecija instead. There are several bus liners to choose from that stop at Cabanatuan City. Generally, the bus trip costs around Php185. At the Cabanatuan Central Terminal, vans and buses bound to Baler are stationed. Buses cost around Php250 while vans are priced at around Php220. Enjoy your Baler stay when you buy exclusives from our partner merchants. 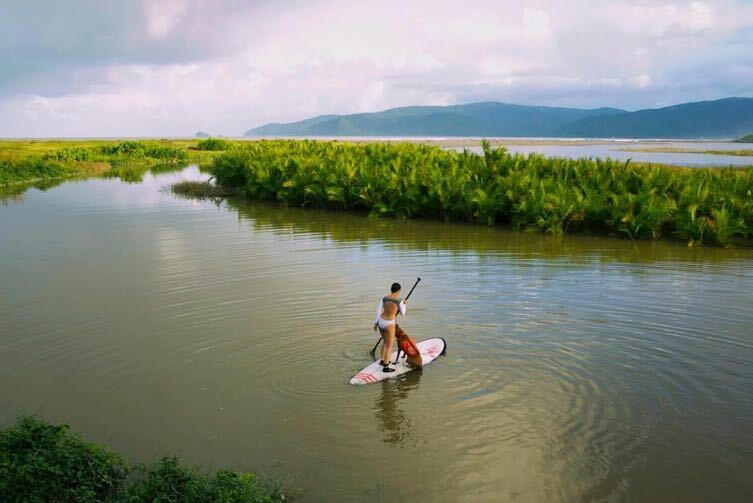 What would the Tita-in-Training, Adrenaline Junkie, and Aesthetic Queen do in Baler? A non-surfer’s guide to the seaside town. How to enjoy the best of Baler on a budget.